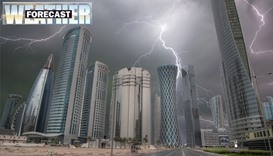 Thundershowers are expected in some places Monday along with strong winds in most areas by the afternoon, the Qatar Met department has said. 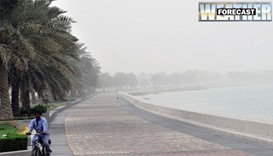 Another cold night is expected in the country Sunday along with strong winds and high seas in offshore areas, the weather forecast shows. 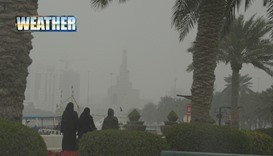 Department of Meteorology warned of strong wind at some areas Tuesday. 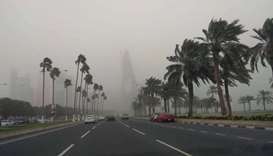 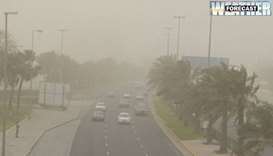 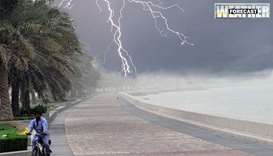 Department of Meteorology today warned of strong winds and reduced visibility due to blowing dust until 6pm today.